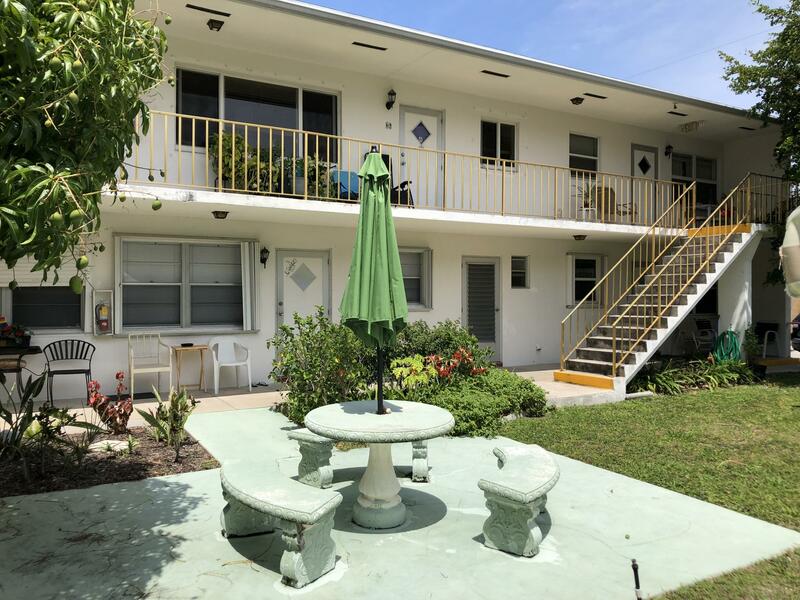 All TOWNSITE APTS XV homes currently listed for sale in Lake Worth as of 04/26/2019 are shown below. You can change the search criteria at any time by pressing the 'Change Search' button below. If you have any questions or you would like more information about any Lake Worth homes for sale or other Lake Worth real estate, please contact us and one of our knowledgeable Lake Worth REALTORS® would be pleased to assist you. "Location! Location! Location! This 1st floor 1/1 condo is perfectly situated 2 blocks north of Downtown and a 15 min. walk to beach. Well maintained with 1yr old Central A/C, Refrigerator and Stove. Laundry onsite and off street parking. The unit is currently rented for $950.00 per month lease ends May 18, 2019."